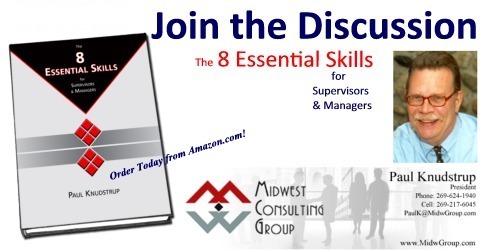 The pages that follow include various Leadership Lessons we’ve learned along the way, and help to illustrate the points we make in the book The 8 Essential Skills for Supervisors & Managers. As with other real-life situations, the names have been changed to protect both the innocent and the guilty. Enjoy!